July 2008 - Official site for "Dog eat Doug" and "The Conjurers"
Our first TTF roundtable show is tonight. Come on by and join us! It’s on TalkShoe so you can participate live and ask questions. Hope to see you there! This entry was posted in News on July 21, 2008 by admin. I love thrillers but it’s hard to find a good one, never mind a series. Yet I have, thanks to my parents. 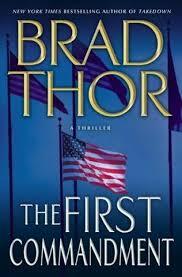 They brought two Brad Thor books this last visit and I’m completely hooked. This entry was posted in News on July 18, 2008 by admin.